No group in the history of gospel music produced more stars than Albertina Walker’s Caravans. Among those who passed through the Chicago-based ensemble’s ranks during the 1950s and ’60s were Bessie Griffin, James Cleveland, Cassietta George, Inez Andrews, Dorothy Norwood, Shirley Caesar and Loleatta Holloway. All, including Walker herself, went on to become important (and in most cases, major) gospel artists, with the exception of future dance music diva Holloway. 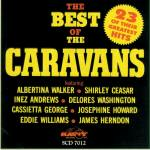 The Caravans emerged in 1952 as an offshoot of Chicago singer Robert Anderson’s Gospel Caravan. 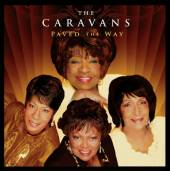 The original Caravans consisted of vocalists Walker, Ora Lee Hopkins, Elyse Yancey and Nellie Grace Daniels with pianist Edward Robinson. Bessie Griffin, Iris Humble and pianist Charlotte Nelson replaced Hopkins, Daniels and Robinson in 1953. Cassietta George, Gloria Griffin, Johneron Davis, Louise McDowell, Dorothy Norwood, Imogene Greene and singing pianist James Cleveland were members between 1954 and ’56. Thirteen singles by the Caravans were issued by the States label in Chicago before they signed with Savoy Records in 1958. The Newark, New Jersey, company also acquired rights to all the States recordings, issued and unissued, and released many songs on albums that appeared on the Savoy subsidiary label Gospel. The first newly recorded songs for Gospel were made in October 1958 with a lineup consisting of singers Walker, Inez Andrews, Shirley Caesar and Delores Washington with singing pianist Eddie Williams. By 1960, George and Davis had returned to the fold and James Herndon was serving as pianist and singer. Among the group’s big hits on Gospel were 1958’s Mary Don’t You Weep featuring Andrews and 1962’s I Won’t Be Back (also known as Sweeping Through the City) featuring Caesar. The Caravans, with Josephine Howard having replaced Davis, moved to Vee-Jay Records in Chicago in late 1962 before returning to the Gospel label three-and-a-half years later. The band scored big on Vee-Jay in 1964 with Walk Around Heaven All Day, a now-standard gospel ballad that featured and was written by George. The second album under the group’s new contract with Savoy included the Caesar-led hit Choose Ye This Day. By the end of 1966, however, Caesar had left the Caravans, and with Andrews and George already gone, the group’s fortunes began to dwindle. They labored on for several more years, recording albums for Gospel, then HOB, some featuring lead vocals by new members Loleatta Holloway, Gwen Morgan, Julia Price and Willie James McPhatter, before Walker finally disbanded the group in the early ’70s. Former members of the Caravans reunited from time to time in subsequent years for concert appearances and also made two albums. Walker came together with George, Howard and Washington for the 1976 album Share! on the Birthright label. 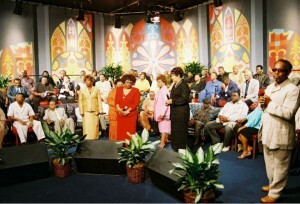 Norwood organized a second Caravans reunion album in 2006 titled Paved the Way for Malaco Records on which she, Walker, Andrews and Washington were joined vocally by non-alumni Evelyn Turrentine-Agee and Faith Howard. CDs of classic recordings by the Caravans from the late ’50s to the mid-’60s include the 23-song The Best of the Caravans and the 28-track Going Home.